Black Amethyst is a multi-purpose healing dark amethyst that gets it’s natural color from concentrated hematite and iron inclusions found inside the crystal’s matrix. Amethyst is popularly used for crown opening and third eye intuitive boosting. 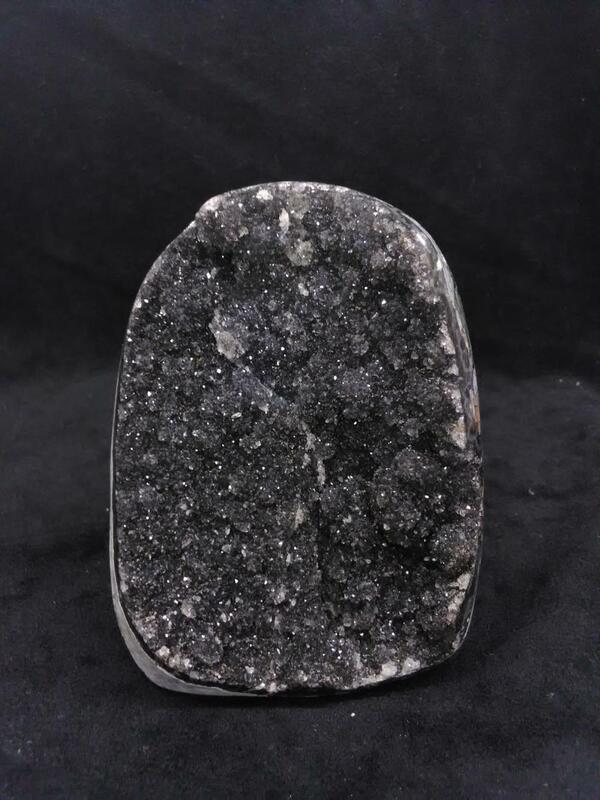 The hematite and iron elements in black amethyst provide a grounding nature.